Gashanger.com/GlobalRC - AJ Aircraft ARS 300 86"
AJ Aircraft ARS 300 86"
Introducing the all new 86" ARS 300 MkII, an upgraded version of the original 83" ARS 300. Still based around the full scale version of the ARS 300, we took our old wing design and improved upon it giving the plane an extra 75 sq. in. of wing area, all while reducing the overall weight of the plane by 1/4 lb. 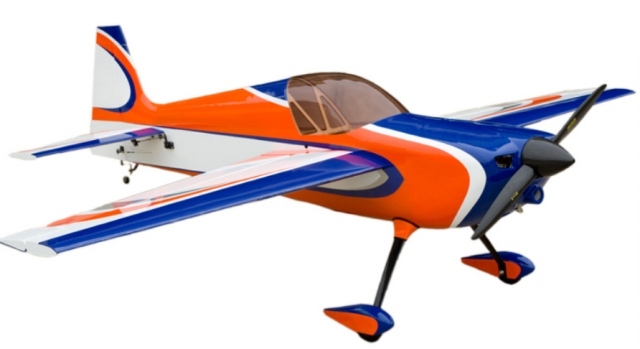 This change will allow the plane to keep its awesome tumbling characteristics while gaining a lighter feeling while airborne, all while using your favorite 50cc-60cc class engine. AUW (dry) - 17 - 18 lbs.